Updated Wednesday November 21, 2018 by WRA Editor. Modell's is a WRA sponsor! 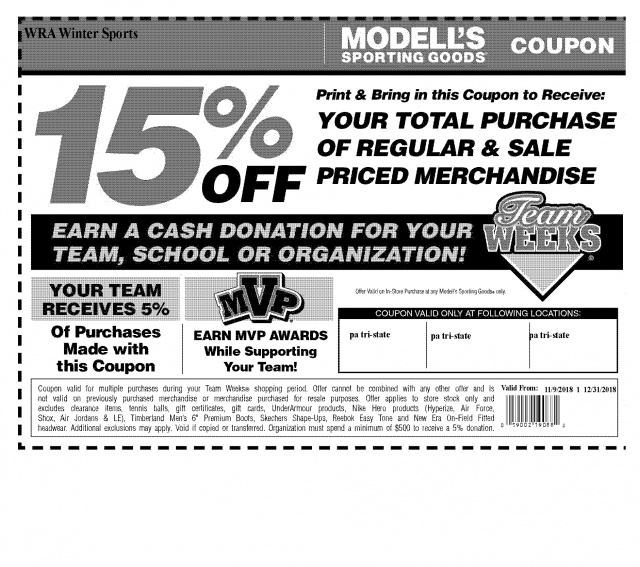 If you will be shopping at Modell's over the holidays, please use the attached WRA coupon and Modell's will make a contribution to WRA. Even if you don't have the coupon with you at the store, make sure to mention that you are with WRA. Thanks for your support. Enjoy the holidays!